In 2008, I was told that Alachua County FL has decided to take a better path with regard to transportation. While I was impressed by the general direction the County was taking (particularly in comparison to its historical direction), I had to wonder why it took over 20 years to figure out that building their way out of congestion is counterproductively ruinous. Of course, FDOT, the homebuilders, and the majority of the city and county commissioners and city and county staff — or citizens — still don’t get it in this community. traveling by bus, bike or foot. Because the county environment is not at all conducive. Way too much free parking makes it extremely irrational to not drive a car everywhere (even when gas costs $4/gallon). Very, very low residential densities and commercial intensities also aggravate the problem, as do financial institutions that are extremely skittish about funding anything other than sprawl. Another obstacle are the Alachua County Land Development Regulations, which continue to make it often illegal to do what is right. In other words, quality transit, bike & sidewalk facilities are not a limiting factor on reducing car travel. Instead, the primary obstacle is that the community continues to heavily subsidize and otherwise encourage car travel and sprawl lifestyles. The result of all of this is that the community will see lots of shiny new buses, bike lanes and sidewalks go unused. Bad for PR. Breeds resentment. Nevertheless, I am quite supportive of the community moving in this direction. Sometime very soon (if not 20-40 years ago), places like Alachua County will need to have a “Plan B” in place. In the near term, there is not nearly enough traffic congestion, density, or scarce and pricey parking to make it sensible to use transit, bicycles or sidewalks. And the community has way too much road capacity. However, the day will (soon?) arrive when meaningful numbers of people will want to adopt a more sustainable lifestyle and way of traveling. Growing congestion is inevitable, and happily is a powerful way to make it quite attractive to use transit, ride a bike, or walk. Congestion also makes higher-density, mixed use residential a much more desirable option for people. The key is for Alachua County to finally take an essential step in the right direction by ending the monumentally counter-productive efforts to slow or stop higher densities/intensities in urban areas via conventional road concurrency rules (rules which state that new development cannot occur if it will further congest roads). And stop the ruinous efforts to continue widening roads. What Can Be Done to Discourage Third World Nations from Pursuing Ruinous Highway Widenings? After my many years of observing the situation in the US (particularly in “enlightened” cities that should know better), I’ve come to conclude that almost nothing can be done proactively to discourage newly-developing nations from ruinously widening their roads. Because car travel is a self-perpetuating vicious cycle, we find that nearly everyone in an auto-centric culture becomes a cheerleader for big roads and big parking lots—be they Democrats, Republicans, Anarchists, Socialists, Environmentalists, Feminists, or whatever. When our communities adopt car travel as the way to get around, the imperative is to do everything possible to make cars happy instead of people. That eventually makes it impossible to travel by means other than by car. And the more we are forced to make trips by car, the more compelled we are to fight for bigger roads and bigger parking lots. It terrifies me that this is a zero-sum game. That is, every time we make cars happier, we concurrently worsen our community for people. A second way is to elect wise, courageous people who have the vision to be leaders on this issue. Not likely since, as I point out above, most voters are car cheerleaders. 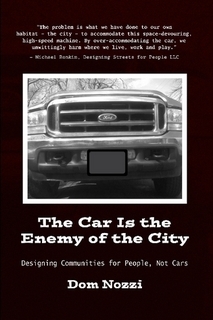 Sometimes, however, voters make a mistake and vote for someone who “gets it.” But then, it becomes a question of whether such an elected official can, before leaving office, quickly find the allies and the strategies to effectively “cut the legs out” from the forces that are driving us toward a doomed future of sprawl and auto dependence. To do this, the official must somehow find ways to put a number of major and minor community roads on a “diet” (remove travel lanes), stop any plans to widen roads, put a halt to the construction of big parking lots, and reduce the size of existing, over-sized parking lots (preferably by redeveloping them with buildings). Note, too, that I am an enormous advocate of traffic congestion in urban areas. I much prefer the more effective tool of charging people to drive on roads (sometimes called “congestion fees”), but establishing such fees is almost always politically impossible. That leaves us with second best: congestion. Congestion is an effective tool because it adds a “time tax” to people who drive cars. The time tax starts discouraging one of the most important problems we see in the field of transportation these days: The low-value car trip (the person who, say, drives across town on a major street at rush hour to rent a video). As an aside, congestion is also helpful because it discourages people from living in sprawl locations, it slows car speeds, it reduces the severity of car crashes, it promotes densification and infill, it promotes transportation choice, it reduces air pollution and gas consumption, it promotes mixed use, and it helps smaller, locally-owned businesses. There are a number of additional benefits, but I’ll stop w/ these. The last thing we want is to have low-value trips clog up our major streets at rush hour—particularly because there are higher-value trips on the streets. It is irrational and sickening to see communities destroy themselves—at public expense—to subsidize low-value car trips. How many times must we say it? How many times must we point out that “We cannot build our way out of congestion”? What are the Origins of Quality Transit? The origins of meaningful transit in a community are largely based on motorist discontent. When motorists face high costs for driving or parking a car, or face traffic congestion, political will emerges to create ways to escape such travel pain: higher residential densities, mixed use, and better transit. Better transit is almost never the result of foresighted planners, educated activists or elected officials. Discontented motorists facing higher costs are the inducement. Yes, there are certainly quite a large percentage of Americans who do not have good access to transit. Such an unfortunate circumstance is unsustainable. The inevitable adjustment to a transit-friendly, oil-scarce society will not be painless. But it is clear that the sooner we create a nation rich in transportation choices, the less pain will be experienced. We must therefore adopt effective policies and pricing that will more quickly induce the creation of transportation choices. I know of nothing that is anywhere near as equitable and effective as increasing the cost of driving a car. This is one of the many reasons I support a much higher gas tax. I remain concerned, however, that increased gas tax revenue is likely to counterproductively be used to widen roads. Despite this, on balance I believe that a significantly higher gas tax must be established. And soon. This is a grim, unnerving book. It is a short, quick read. The author grew up in the Soviet Union and experienced the economic collapse they had there. He therefore has a unique, fascinating way of seeing America for what it is—a way that most Americans are blind to (and saying things about Americans that Americans dare not say about themselves). He compares what happened in Russia to disturbingly similar patterns happening here in America. His writing is lucid and illuminating. Nearly every one of his paragraphs contains a brilliantly tragic insight. The book provides a sobering, frightening comparison between the survivability of the Soviet system before their collapse, and the lack of survivable counterparts in America (what I often refer to as a lack of a “Plan B”). Our system of food, housing, transportation, etc., have little or no ability to sustain themselves if or when this nation must confront drastic change. For example, most Soviets lived in publicly-owned housing, whereas most Americans live in housing whose mortgage means they are essentially owned by banks. Meaning that while most Soviets were able to stay in their homes after collapse, an enormous number of Americans (including middle- and upper-income) face homelessness. The Soviets also had central planning of communities, which meant much less car-dependent sprawl and nearly all homes connected to a transit system. In America, most homeowners have no access to transit, which means they are trapped without a way to travel once gas stations disappear. Another advantage the Soviets had over us is that they have more intact family structures where most family members tend to live relatively close to each other. Family support, therefore, was more available in a crisis situation. American families, by contrast, tend to be scattered hundreds of miles from each other. And what is perhaps even worse, we have become a nation of loners. Few of us have more than a few people we could call good, reliable friends. An important drawback Americans face in comparison to the pre-collapse Soviets is a profound lack of a “craftsman” class. Very few Americans retain or have any sort of skills in craftsmanship or manufacture—skilled workers are much fewer than in the Soviet population. Being able to build or repair things will be an essential skill after a collapse. The section in the second half of the book pertaining to medicine and education is particularly poignant. And a strong indictment of the American system, where the author notes persuasively that it is enormously unethical that the profit motive is applied to treatment of the sick. And that the goal of higher education is not to educate (it is to make us conform to being wage slaves). His style is very along the lines of Kunstler. Less funny, but nevertheless right on the mark on a large number of world and domestic issues. If you continue to believe that the American society is not teetering on the verge of collapse despite the recent meltdown of the financial system, this book will quickly convince you otherwise. The book contains a troubling yet important message about what to expect when America collapses, and how to survive collapse. Having been in Russia during their economic collapse, the author is able to provide us with a number of examples and lessons learned when he explains what happened to various types of people after the collapse, and what coping mechanisms were most successful. 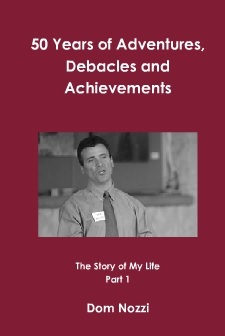 He describes ways in which individuals and a nation can reduce the suffering. For example, he recommends that America begin now to slowly release prisoners from prison, as a sudden, collapse-induced release of the millions that now languish there would be extremely problematic, to say the least. Yes, the book is exceptionally bleak. “Why should I read a book so depressing?,” you might be asking yourself. For at least two reasons: First, it is always good to know in advance about a likely crisis one must face in the future. Second, the book offers a number of useful suggestions about how to survive the crisis, if or when it happens. Don’t walk to a library or store to get this book. RUN!!!!!! You MUST read this book at your earliest convenience. It is that good. In its own twisted way, it is also an entertaining read.